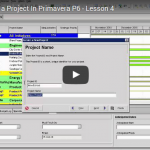 Lesson 8: Intro to Primavera P6 Project Layouts Episode eight in our popular YouTube Primavera P6 training series: Introduction to Primavera P6 Project Layouts. 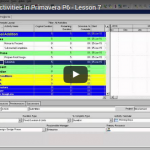 Lesson 6: Setting Up Calendars Primavera P6 Episode 6, in our popular ten episode YouTube series Introducing users to Primavera P6 . 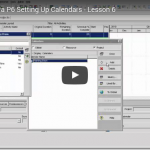 In this tutorial you will learn to set up Calendars in Primavera P6. Construction Scheduling Technology or Experience managing not only larger and more sophisticated programs and projects but also the small project as well. It also presents new issues for organizations to deal with in implementing new systems and procedures. So, between Construction Scheduling Technology vs Experience – which is more important? 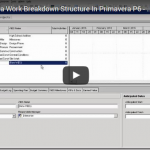 Lesson 5: Build a P6 Work Breakdown Structure P6 Episode five, in our popular Primavera P6 training series: Build a P6 Work Breakdown Structure. 2 Rules of Engagement for Quickly Resolving Construction Delays – Part 1 Each delay analysis method includes certain evaluation guidelines. For this analysis method (which the Owner had determined as the ONLY acceptable method) to be effective, each submittal had to be reviewed sequentially since each was built upon the previous submittal, and acceptance or rejection of any one submittal in the sequence impacted subsequent analyses. Managing Construction Delays Learn to Identify construction risks and develop procedures to minimize those risks. 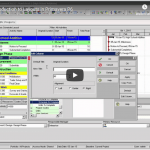 In this webinar, designed for construction professionals.